In Massachusetts, if an employee is injured on the job and the injury prevents the employee from working, he or she is entitled to certain benefits from workers’ compensation insurance. While there are numerous types of benefits available from workers' compensation insurance, depending on the injury and extent of disability, there are two main benefits that most injured workers are concerned about: Medical Benefits and Disability Benefits. The following is a brief summary on these important benefits. The payment of disability benefits are, perhaps, the most important benefits available to injured workers. While the laws in Massachusetts use the term “incapacity benefits”, most people commonly refer to these benefits as disability benefits. They mean the same thing. These benefits are payments of money directly to the injured employee as a wage replacement since the employee is unable to work and earn wages themselves due to their work injury. The disability benefits are tax free. There are three types of disability benefits in Massachusetts. Temporary Total Disability Benefits. Temporary Total Disability Benefits are covered by M.G.L. c. 152 § 34 (sometimes referred to as TTD or Section 34 benefits) and are payable to employees whose work injury leaves them unable to work for five or more days. The TTD payments are calculated as 60% of the employee’s gross average weekly wage (inclusive of all concurrent employment). The injured employee can receive these benefits for up to 3 years (or 156 weeks). Temporary Partial Disability Benefits. In situations where an employee’s injury still allows them to perform some work, but they are unable to earn their pre-injury average weekly wage due to their injury, then the employee will qualify for Temporary Partial Disability payments (covered under M.G.L. c. 152 § 35). The payments you receive for partial disability are based on what you are able to earn at work while injured. The weekly partial incapacity compensation is an amount equal to 60% of the difference between the average weekly wage before the injury and the amount the employee is able to earn after the injury. The maximum payment rate, however, for partial disability is two-thirds (or 75%) of your total disability benefit rate. This is commonly referred to as “Max-Partial”. Partial disability benefits are available for up to 5 years (or 260 weeks)(or 4 years if you were paid all 3 years of your total disability benefits). Permanent and Total Disability Benefits. These payments are for employees who are totally and permanently unable to work because of their injury. M.G.L. c. 152 § 34A is the law that covers P&T disability payments. To receive these benefits, the injured employee must be unable to perform any kind of work at all. These payments are calculated as two-thirds (or 75%) of the employee’s average weekly wage and are payable to the injured worker for as long as he/she remains disabled. Employees, who are deemed permanently and totally disabled, are also entitled to cost-of-living adjustments (COLA). For example, let's take the injured worker from the medical benefits example above. If he had earned an average weekly wage of $700.00 over the previous 52 weeks at his warehouse job, then after his injury, if he is totally disabled and unable to work, he should receive $420.00 per week ($700 X 60%) tax free. As you can see, the disability benefits are all based upon the employee's average weekly wage (AWW). So, it is extremely important to be sure the workers' compensation insurance company is using the right AWW to calculate the disability payments. The Massachusetts workers’ compensation laws provide that if an employee is injured on the job, he or she is entitled to receive all medical benefits that is reasonable, medically necessary, and causally related to the work injury. (See Massachusetts General Laws c. 152 §§ 13 and 30) When the term medical benefits is used it means payments from the workers' compensation insurance carrier for the medical bills, costs, and expenses for treatment. In fact, our laws require the insurance company to pay all of the injured employee’s medical bills and to continue to do so as long as the treatment in necessary. This is an extremely important benefit under workers' compenstion insurance, because when an employee is injured and cannot work they often worry about how their medical bills are going to get paid. And as I'm sure most people know, the cost of medical treatment is very high. When the injured employee is treated at a hospital or meets with his or her doctor, the insurance company will pay the medical providers directly. The medical bills to be paid include the treatment or services for: Emergency room visits, doctors' appointments, prescription medications, x-rays, surgical procedures, etc… The maximum amount that the medical providers can charge is set by the state. Normally, the employee doesn't have to worry about the costs. For example, if an employee slips and falls in the warehouse and breaks his arm, all of the medical bills for an ambulance ride, emergency room treatment, doctor appointments, surgery, physical therapy and medications, are to be paid by the workers compensation insurance company. If an injured worker doesn’t receive any of these benefits after a work related accident or is denied benefits from the insurance company, then the injured employee has the legal right to file a claim for benefits. 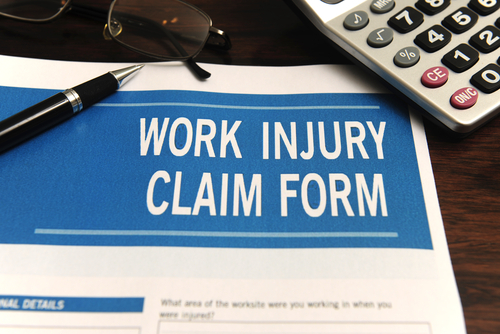 After the claim is filed the case will go through the workers’ compensation process in pursuit of benefits. An injured employee should speak with an experienced Massachusetts workers’ compensation lawyer to be sure that he or she is receiving the right benefits and the proper amount of benefits after a work injury. Mahaney & Pappas are experienced in handling workers’ comp cases in Massachusetts and our case results speak for themselves. Feel free to contact us on-line or by calling us at (508) 879-3500. We are happy to review your case and explain what benefits you are entitled to.